I remember walking past the baby food aisle at the supermarket when I was newly married. I thought, “Someday, I’ll turn down this aisle and choose cute little jars of turkey and gravy, sweet potatoes and pears for our little baby. We’ll take pictures of our baby’s face splattered with puree and enjoy all the giggles those first tastes create as a family.” It was a fleeting thought, but one I can still recall. Little did I know all the knowledge I’d gain between those shopping thoughts and the true moments of introducing food to my baby. 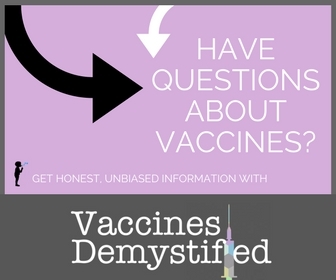 Knowledge like how gut flora is forever changed as soon as anything but breast milk passes baby’s lips and how infant cereal is full of lifeless ingredients. The notions that mainstream media and even personal history lodge into our minds are powerful so it often takes real effort to change our course of thought and even more, our course of action. As a mama committed to nutrition, first through breastfeeding and then through quality food, I wanted to be intentional about the food my baby received when we began the process of weaning. The term weaning is used whenever a baby isn’t 100% being breast or bottle fed – it is usually a very gradual process over a few months or years. I researched what method fit my convictions and landed on baby led weaning which really ought to be called something more like baby self feeding. For the most part, I have followed baby led weaning as a means to introduce table food to my two children. This means, that regardless of teeth, once my littles have been able to sit unassisted, exhibit a pincher grasp with two fingers and have interest in food, I start feeding them whatever I’m preparing for the rest of the family. With proper supervision they’ve dove into meals of pasta and meatballs, steamed veggies, fish, french toast and more. The only variation to “strict” baby led weaning is that I do encourage some purees with mom or dads help as another way to experience a food texture and learn to swallow smooth things as well. Q: But don’t they choke? A: No, they don’t choke. Choking is a blue in the face, can’t breath experience. They do occasionally gag when learning to feed themselves. But, gagging is an important part of learning to chew and maneuver food around in your mouth. I always supervise my kids meals and if they’ve had something in their mouth for too long I’ll encourage them to spit it out and take a smaller bite. Toast and other breads are one in particular I want for because it can get mashed into a dough ball on the top of their mouth and cause frustration/gagging. Q: How can they chew without teeth? A: I usually tell a little story about my grandma who had dentures and hated wearing her teeth. She ate just about everything with her gums! Yes, it took a little longer, but she was perfectly capable of gumming her food until it was soft and small enough to swallow. Same thing with babies. Their gums and tongue work together to break down food and this can happen just fine without teeth. Q: So, what do you actually feed them? A: Yes, baby led weaning is super messy! But, I figure the trade off of learning to feed themselves is worth it. Dominic may disagree – cleaning the high chair/floor is probably our least favorite chore! We often plan bath time after meals and attempt to keep things manageable by offering courses and doing a little clean up after each one. Q: Do you dumb down meals for babies? A: Kind of … for example if we’re having tacos, Max will just have a little pile of meat, cheese and veggies instead of an actual taco. But, if we are having curry, I don’t modify the spices or flavors to make them more “baby”. We’ve actually found that the stronger the flavor, the more likely Max is to gobble it up! Q: Are purees totally off limits? Q: So, when do you start baby led weaning? A: Baby’s readiness is key to beginning. You want them to be sitting 100% independently, showing a pincher grasp with two fingers and showing an interest in food. This often starts with just an interest in playing with it and occasionally tasting what is on their fingers and grows into more and more eating. Jemma didn’t show a lot of interest in truly eating until 10 months, Max was a bit earlier, somewhere between 8-9 months. Remember, food is fun until they’re one! They’re not eating calories for true nourishment until after 12 months, it’s more of a learning experience in the latter half of the first year. Marsha Walker, RN, IBCLC: “Just One Bottle Won’t Hurt” — or Will It? Food Renegade: Why Ditch the Infant Cereals? 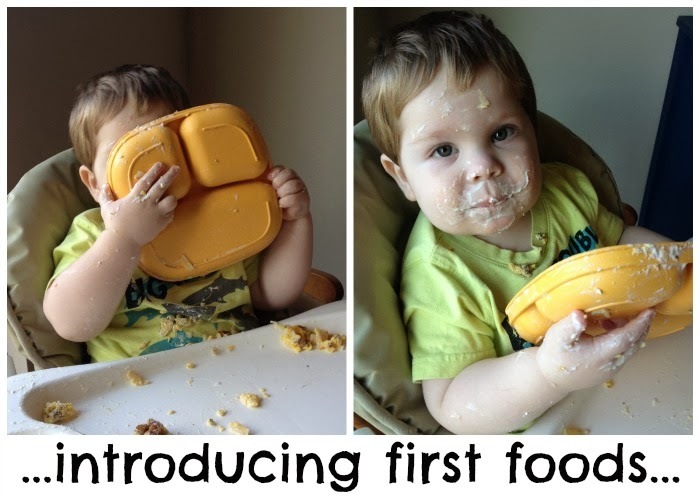 Do you have a post on first foods or infant nutrition? Leave the link in the comments and I’d love to add you to this list of resources! 5 Ways to Use Healing Bone Broth — It’s that time of year again, when unpleasant little bugs make their way into our homes. For Megan of Boho Mama, guest posting at Natural Parents Network, homemade stock or bone broth is a natural remedy. This is such a great primer on baby-led solids!! Love it. We did this same approach, and I agree that sometimes purees happen, I mean just naturally (mashed potatoes and yogurt, for a couple big-people examples). We usually let our kids try out the spoon by themselves, and they got the hang of it. While making a huge, fun mess. ;)I love with BLW (just as with breastfeeding!) that you can feed your little one anywhere and anytime others are eating without worrying that you've brought along special food and have a place to prepare it. We did baby led weaning with both of ours, too :) It was so much nicer than what I anticipated – which was blending whole foods up – which I think is still a great option! – but we really enjoyed letting our two eat what we were eating. And it encouraged us to eat healthier! Thanks for a great primer on BLW!